An Excellent & Rare ROYAL FLYING CORPS 1914-15 TRIO. 1583. Sgt. E. KERMETH R.F.C. (RFC on all medals). Born on 9th June 1881. At age 26, he married '"Lizzie" Kermeth in Staffordshire on 26th January 1907. They resided at 93 Grenfell Road, Mitcham, Surrey. 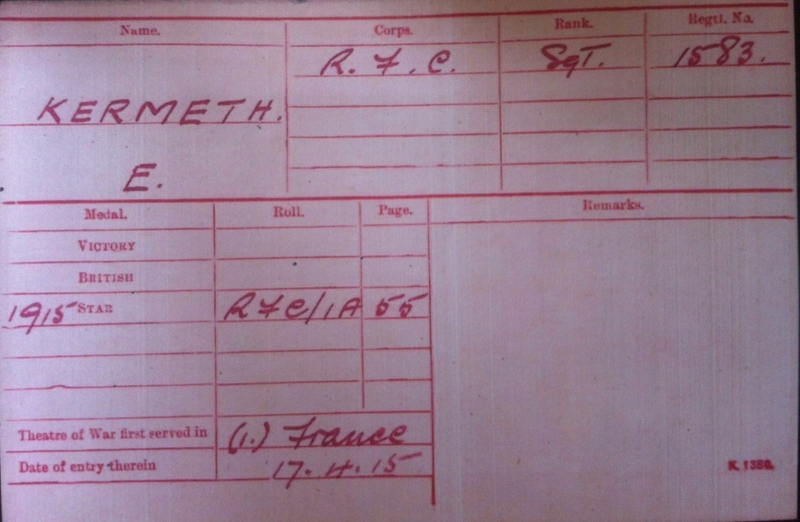 An immediate 'Kitchener Volunteer' he joined the RFC on 15th August 1914 age 33 and arrived in France on 17th April 1915 joining No.8 Squadron which had only just arrived in France on 15th April. As a mature and experienced joiner-carpenter, he will have initially served as an assistant airframe rigger, on the squadron's BE2c aircraft. He was promoted quickly from 2/AM on entry to Sgt on 1st January 1915 and Flt/Sgt on 1st March 1916. 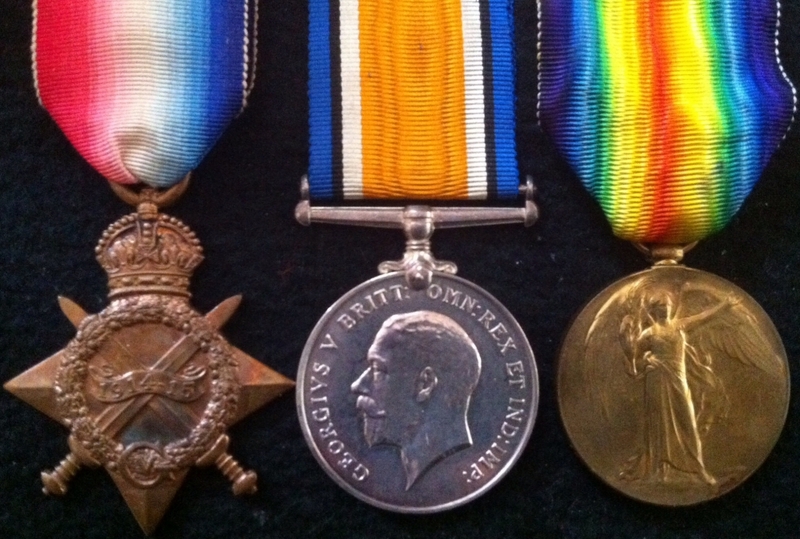 He served in France for 5 months until 6th September 1915. As No. 8 Squadron of the Royal Flying Corps (RFC) it was formed at Brooklands, Surrey on 1 January 1915, equipped with the Royal Aircraft Factory B.E.2c. The squadron moved to Gosport later in January for further training, and crossed to France on 15 April 1915. 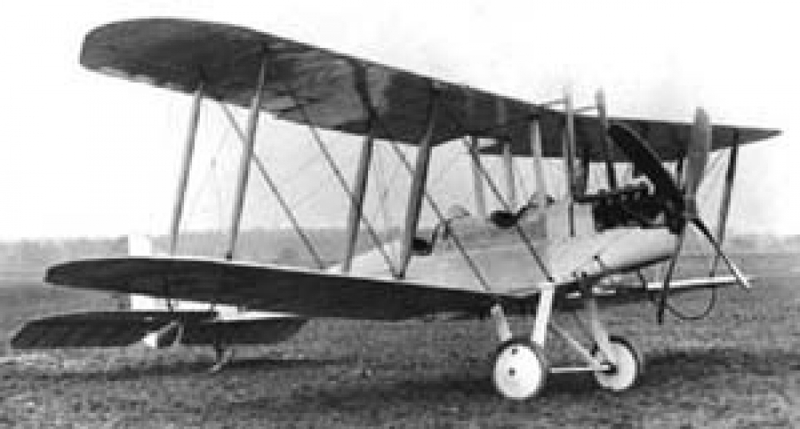 While its main equipment was the B.E.2c, it also operated a fighter flight between May 1915 and early 1916 equipped with a mixture of aircraft, including the Royal Aircraft Factory B.E.8 and the Bristol Scout, while it also evaluated the prototype Royal Aircraft Factory B.E.9, a modified B.E.2 that carried the observer/gunner in a nacelle ahead of the aircraft's propeller. 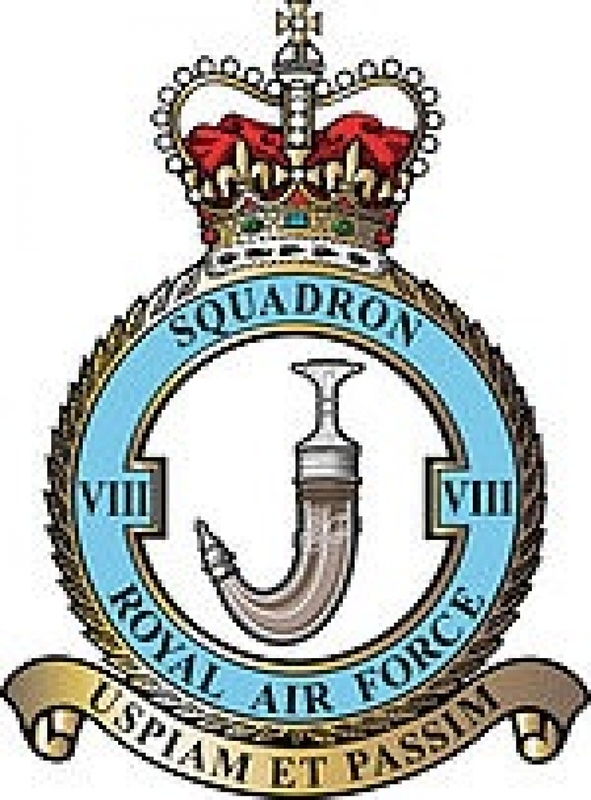 Operating from airfields near Saint-Omer, the squadron was initially used for bombing and long-range reconnaissance, carrying out flights of up to 100 miles (160 km) behind the front lines. In February 1916 it moved to Bellevue and specialised in the Corps Reconnaissance role, carrying out contact patrols and artillery spotting in close cc-operation with the army. The squadron flew in support of the Battle of the Somme in the summer of 1916 and the Battle of Arras in April–May 1917. It received the improved B.E.2e from February 1917, but despite this, losses were heavy as all marks of B.E.2 were outclassed. Armstrong Whitworth FK.8s replaced the B.E.2s in August 1917. 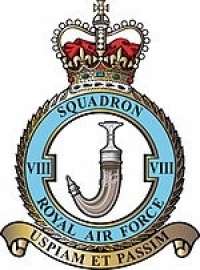 In June 1918, No 8 Squadron, part of the Royal Air Force since 1 April 1918, was allocated to the Tank Corps, flying contact patrols in support of the Tank Corps attacks, and becoming expert in spotting and destroying German anti-tank guns. On 12 August 1918, Captain Ferdinand Maurice Felix West of 8 Squadron was flying a F.K.8 on a contact patrol when he was attacked by seven German fighters. Despite a severe leg wound, West managed to maneuver his aircraft so that his observer could drive off the attacking fighters, before making a forced landing behind Allied lines and insisting in reporting the results of the flight. He was awarded the Victoria Cross for this action. In December 1918, a few weeks after the Armistice with Germany that ended the First World War, the Squadron re-equipped with Sunbeam Arab-engined Bristol F.2 Fighters. It served briefly in Germany as part of the British Army of Occupation, before moving back to the United Kingdom in July 1919 and disbanding on 20 January 1920. AN EXCELLENT GROUP TO A SKILLED TRADESMAN WHO SERVED DURING THE DAWN OF AIR FIGHTING IN FRANCE DURING THE GREAT WAR.